A bunch of news stories today reported on a $33 billion deal to cut spending from the current-year budget. Vice President Joe Biden has been bandying this about, and at least some Senate Democrats have used it. But Mr. Cantor steadfastly denies the deal. Earlier today, Speaker Boehner also said there was no deal. The Tea Party Patriots group is massing out of the Capitol in a demonstration aimed at keeping the House Republicans’ spending-cut backbone completely upright. This is good. Because actually, that $33 billion spending-cut number includes the $10 billion cut from the two prior CRs. So the new number is only $23 billion. And in round numbers, the GOP needs $60 billion or so to get back to the 2008 baseline, which was their original pledge. The full interview with Eric Cantor will be shown tonight at 7 p.m. EST on CNBC. INFLATION ALERT REPORT- CNBC’s Brian Shactman reports. - NBC’s Richard Engel reports. If you buy into the energy speech President Obama delivered on Wednesday, it sure sounds like we’re headed for drill, drill, drill. It would be a total reversal of policy. I guess $100-plus oil and near $4 gas at the pump — along with a consumer economic-political revolt — will do that to you. After bashing oil and gas companies for a couple of years and instituting a virtual drilling moratorium, President Obama now says yes to offshore oil and makes a big pitch for natural gas. There may even be incentives for faster leasing and smaller royalty payments to the government. Is it credible? Well, when you get to the fine print, it may not be. In the fact sheet that accompanied the speech, there’s a lot of talk about “responsible development” for natural gas fracking chemicals, state regulators, tapping experts, the environmental community, and protecting public health and the environment. In other words, the standards for new drilling could be so high that there won’t be that much new drilling. The president doesn’t discuss the role of the EPA, which is going after coal, natural gas, and oil. And while he says he’ll speed up new leases and permits, he then blames oil companies for not using their old leases. That’s an old saw of an argument that neglects to mention dry holes. I believe natural gas is the answer to our energy problems over the long run. It’s real cheap. And we have boodles and boodles of it. While the president says we’re going to reduce oil imports by one-third in 2025 — something that sounds suspiciously like a backdoor cap that will damage job creation and growth — the U.S. is expected to be a natural-gas exporter in the next few years. That’s how much of it we have. So it seems to me that the trick is to figure out efficient ways to pump that natural gas into cars. Or to liquefy it and then get it into cars. Or to use the steam from the gas and get it into cars. Some mass-transit systems on the West Coast are already doing this. And here’s another rub: Heavy federal subsidies for solar and wind, which come to roughly $24 per megawatt hour, still won’t be able to compete with cheap natural gas. Solar and wind are already less than 1 percent of total electricity. If the market can produce it, fine. But there’s no evidence of that. And then there’s the ethanol disaster. We’ve already learned that ethanol has a heavy carbon footprint — even Al Gore acknowledges this. But we’ve also painfully learned that farmers are planting corn for ethanol instead of for food consumption. They are foregoing wheat for the corn, and all this is helping drive food prices through the roof worldwide. You can add Ben Bernanke’s dollar-depreciation to that food inflation. And if we had King Dollar, once again convertible to gold as Lew Lehrman has proposed, then oil prices might be closer to $25 a barrel instead of $100. During the Bretton Woods period, when the dollar was linked to gold, oil was about $2.50. And today, market forces are actually reducing oil use as a share of GDP. With higher oil prices and the onset of natural gas and other alternatives, oil per unit of economic output is down about 50 percent. That’s good. All this is why I favor market forces and a drill, drill, drill policy. The U.S. has 112 billion barrels of oil, both on- and offshore. As much as two trillion barrels are locked up in shale rock. Even excluding shale, discovered oil resources could fuel 60 million cars for about 60 years. These are all Interior Department statistics. And by the way, market forces create significant incentives for oil, gas, coal, and nuclear producers to be as safe and environmentally sound as human engineering can make possible. They don’t want BP-level calamities. Nor do they want repeats of the Japanese disaster. But here’s what America wants: Less government and fewer regulatory barriers in order to unleash the great American energy industry. If we do this, not only will we get the power to fuel the economy, but millions of new high-paying jobs will be created. Does President Obama get this? Tonight at 7pm ET: MARKETS - James Altucher, Formula Capital Managing Director - Jack Bouroudjian, CEO of Index Futures Group - Brett Arends, Wall Street Journal Columnist THE ECONOMY … WHY THE DISCONNECT BETWEEN CONSUMER CONFIDENCE & CEO CONFIDENCE … IS ANOTHER RECESSION BREWING? - Robert Reich – former Clinton Labor Secretary - Steve Moore, Wall Street Journal editorial board THE LATEST FROM LIBYA - NBC’s Richard Engel reports. OIL: TO DRILL OR NOT TO DRILL … THAT IS THE QUESTION - Steve Forbes, Forbes Media Chairman & Editor-in-Chief - Rep. Jay Inslee (D) Washington - Sen. Kay Bailey Hutchisen, (R) TEXAS - Michael Brune, Sierra Club Executive Director REALTOR FOR THE DICTATORS - Scott Cohen reports from London SPRING CLEANING YOUR PORTFOLIO - Michael Farr, Farr, Miller & Washington/CNBC Contributor Please join us at 7pm ET on CNBC. Last week I had the honor and privilege of participating in the Reagan Centennial celebration here in New York City. It was truly a wonderful event put together by the Reagan Presidential Foundation, the Manhattan Institute, and the Wall Street Journal. Almost all of the key surviving architects of Reaganomics were gathered together. The purpose of the event, “Supply-Side Economics: From the Reagan Era to Today,” was to review four key principles of economic growth initiated by President Reagan: Low tax rates on a broad economic base, sound monetary policy, free trade, and sensible regulatory policy. These principles are what unleashed a wave of economic growth that led to an era of unprecedented prosperity here in America. And these same principles can restore our country to prosperity today. Joining me in a special panel discussion moderated by CNBC’s Maria Bartiromo were two terribly bright thinkers: Lew Lehrman and Lawrence Lindsey. You can watch the entire conference at the Manhattan Institute. Here are a couple excerpts from my panel remarks. Growth solves a lot of problems, okay? Growth solves budget problems, growth solves deficit problems, growth solves debt problems. I’m all for limiting spending. I just want to say that. Yes, yes indeed. We get back to 20 percent of GDP or less on spending, I am fine with that, okay? Fine with that. But I don’t see debt as this new red menace out there. What I see is growth as the Lord’s savior to the economy and our fiscal position. . . . Just make the dollar sound and keep marginal tax rates low. The economy will grow beautifully. But if the dollar falls, as it’s been falling for ten years — on the index it’s at a ten-year low, nearly — then it neutralizes the lower tax rates, you see what I’m saying? Because commodity prices soar and the capital flows outside the country, and it’s a dreadful policy. So, low tax rates, limited government. Keep the dollar sound. Right now, Republican presidential candidates are beginning to prepare for the upcoming election and are formulating their respective policy agendas. The key question the GOP candidates should be asked is whether they have a real pro-growth agenda. This, along with a free-market focus and a strong dollar policy, is absolutely key. We must keep the legacy of Reaganomics alive. Tonight at 7pm ET: MARKETS … CONSUMER CONFIDENCE DOWN, HOME PRICES DOWN AND AGAIN THE MARKET SHRUGS - Stephanie Link, The Street Director of Research - Larry Glazer, Mayflower Advisors Co-founder - Don Luskin, CNBC Contributor; Trend Macro CIO JAPAN DISASTER GROWING ; IMPACT ON AUTO PARTS - CNBC’s Kaori Enjoji reports from Tokyo. JUST HOW BAD IS THE HOUSING SLUMP? CNBC’s Diana Olick reports. - Brian Wesbury, First Trust Advisors Chief Economist - Keith McCullough, Founder & CEO of Hedgeye Risk Management; CNBC Contributor LIBYA LATEST - NBC’s Richard Engel reports. GEOPOLITICS OF LIBYA, SYRIA TURMOIL & IMPACT ON OIL PRICES WHAT'S THE GROWTH POLICY TO SAVE U.S. FROM OIL SHOCK? - John Kilduff, Again Capital partner - David Goldman, Former head of fixed income research at Bank of America - Helima Croft, Barclay's Geopolitical Analyst - Mort Zuckerman, N.Y. Daily News Publisher; U.S. News & World Report Chairman & Editor-in-Chief FREE MARKET MATTERS: WHERE'S THE GROWTH PLAN? - Keith Boykin, Former Clinton White House Aide; Editor of The Daily Voice online news site; CNBC contributor - Mark Simone, WABC Radio Talk Show Host - John Fund, Wall Street Journal Columnist Please join us at 7pm ET on CNBC. Here's the video of my interview last night with presumptive GOP presidential candidate, former Minnesota Governor Tim Pawlenty. Here's the key question: Does Governor Pawlenty have a real, pro-growth agenda? Last week, the Commerce Department revised real GDP up to 3.1 percent for the fourth quarter of last year. That was some cause for joy in the stock market. But today we saw a poor consumer-spending report for the month of February, which is picking up the rise in gasoline prices and the decline in consumer sentiment. Real income after-tax — known as real disposable income — actually fell in February. But the inflation rate jumped 0.4 percent, which is almost 5 percent annually. And while real consumer spending did rise, over the past three months it has gained by only 1.4 percent annually. The gasoline-driven inflation hike now puts consumer inflation as measured by the personal consumption deflator at 4 percent over the last three months. That’s higher than wage and salary income. So while energy prices are bulging along with food, real wages look to be falling — not a good combination. So I repeat my Q1 caveat emptor. Now, all may not be lost, because manufacturing production looks strong and job creation looks somewhat better. Housing, on the other hand, is still slumping. Some smart economists I know now think Q1 GDP could be less than 2 percent. But they expect a rebound in the spring and the rest of the year. Well, maybe so. But a lot depends on gas and food prices and other inflation factors, and that in turn depends on the dollar. If the greenback keeps sinking and producer prices for businesses keep rising, then corporate profits may really disappoint along with the slide in real consumer spending. How about flat-tax reform and a King Dollar linked to gold? Tonight at 7pm ET: MARKETS - Ron Kruszewski, Stifel, Nicolaus Chairman & CEO - Jim LaCamp, Macroportfolio Advisors Sr. VP, Portfolio Manager - Jim Iuorio, Options Action Contributor; Director, TJM Institutional Services HOW TO GROW THE ECONOMY? DID OBAMA HANDLE LIBYA THE RIGHT WAY? - One-on-one with presumptive presidential candidate Gov. Tim Pawlenty (R-MN). THE FIGHT FOR LIBYA - NBC's Richard Engel reports. PREVIEW: PRESIDENT OBAMA'S ADDRESS ON LIBYA - John Harwood, CNBC Chief Washington Correspondent - Col. Jack Jacobs, U.S. Army (RET.) OBAMA'S PRESIDENTIAL ADDRESS ON LIBYA ANALYSIS OF PRESIDENTIAL ADDRESS ON LIBYA - John Harwood, CNBC Chief Washington Correspondent - Col. Jack Jacobs, U.S. Army (RET.) - Helima Croft, Barclays Capital Senior Geopolitical Strategist - Dan Senor, Sr. Fellow for Middle East Studies; Council on Foreign Relations Please join us at 7pm ET on CNBC. FED UNDER FIRE: BERNANKE TRANSPARENCY … POSITIVE OR NEGATIVE FOR MARKETS? WHAT SHOULD BE FIRST QUESTION TO BERNANKE? WHAT SHOULD FED BE DOING RIGHT NOW? - David Tice, The Prudent Bear Fund Portfolio Mgr. Please join us at 7pm ET on CNBC. Here are a few of my latest thoughts on how we can light a fire under U.S. economic growth. Economic growth over the past ten years has been less than 2 percent annually. And this is a mighty soft economic recovery going on right now, following the very deep recession. So it’s appropriate enough that Republican House Majority Leader Eric Cantor unveiled a strong pro-growth economic plan at Stanford’s Hoover Institution this week. Cantor is afraid the Republican budget-cutting message is a little too austere, so he’s attempting to balance the necessary budget cuts with a pro-growth, tax-and-regulatory reform message. Cantor focuses especially on getting business tax rates down to at least 25 percent. He also proposes a tax holiday to repatriate the foreign earnings of U.S. companies. So many CEOs have made the same argument. And this was done successfully in 2004-05. If enacted, maybe $1 trillion in cash will flow back home for new investment and jobs. But no sooner did Cantor make this speech, than the Treasury shot down any idea of a corporate-tax holiday. I guess this is the same Treasury that works for the Obama 2.0 pro-business president. Or not. Cantor is completely right on this. He’s also right on his other proposals to lower trade barriers and put a freeze on regulatory burdens. Mr. Cantor also has an interesting proposal to deal with the backlog of 700,000 patent requests in order to speed American innovation and small-business creation. He also believes the visa system should be streamlined to bring in high-skilled workers from abroad in order to create new jobs at home. It will be interesting to see if Cantor’s growth message is taken up by other Republican leaders, most particularly Paul Ryan. Will Mr. Ryan include tax-and-regulatory reform with his tough budget-cutting proposals? The only thing missing from Eric Cantor’s speech was a monetary hook to stabilize the dollar. The GOP needs a King Dollar policy. Otherwise, all the best tax cuts will be blunted by a sinking dollar and rising inflation. 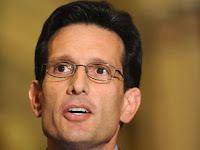 But bravo to Eric Cantor for getting out a growth message. And let’s see if the GOP presidential wannabes pick up on the need for growth plan. SINKING DOLLAR SINKING THE ECONOMY? DEBT THREAT: U.S. CLOSE TO INSOLVENCY? Caveat emptor: The first-quarter economy is slowing and inflation is rising. A month ago, economists were optimistic about the potential for 4 percent growth. Now they are marking down their estimates toward 2.5 percent. Behind this, consumer expectations are falling while inflation fears are going up. A recent CNBC All American Economic Survey revealed that 37 percent of respondents expect the economy to get worse in the next year. That’s up about 15 percentage points from the December poll. The key reasons? Worries over rising food and fuel costs. Respondents anticipate prices to climb 6.6 percent over the next year. That’s double the 3 percent inflation registered in the December survey. Supporting the CNBC poll, the early March consumer sentiment index from the University of Michigan dropped sharply, with the reading for consumer expectations falling 14 points. Additionally, one-year inflation expectations have risen to 4.6 percent in March from 3.4 percent in February. Of course, everyone has been badly shaken by the terrible disaster in Japan. For the U.S. economy, supply-chain disruptions will damage growth. Also, the civil war in Libya and the broad unrest across North Africa and the Middle East have fueled a mild oil-price shock, also subtracting from U.S. growth. So if the economy ending in the March quarter slows to less than 3 percent, it would mark the fourth-straight sub-3 percent GDP reading. Despite the strength in the manufacturing sector and rising corporate profits, that reading would underscore the softness of this recovery cycle. The main cause of today’s consumer angst is undoubtedly the jump in gasoline prices. Nationwide, the pump price has climbed to $3.55 a gallon, up from $3.16 a month ago and $2.82 a year ago (for a 26 percent one-year jump). The last leg of this gas-price jump can be attributed to the $10 or $12 oil-price spike, resulting from supply worries in the Arab world. But it’s worth noting that gasoline moved from $2.70 to $3.15 just as soon as Ben Bernanke announced his money-pumping QE2 strategy in late August last year. All things the same, the gasoline price could knock a half percent off growth and add a half percent to inflation. In fact, the consumer price index has registered three consecutive outsized monthly gains, and is running 5.6 percent at an annual rate through the three months to February. This increase is led by a 79 percent increase in gasoline prices and a 5 percent gain in food prices. But food commodities have jumped 37 percent over the past year. So there’s more coming at the retail price level. Meanwhile, the producer price index has spiked for three straight months and is up nearly 14 percent at an annual rate for the three months ending in February. Inside the PPI, wholesale food is up 22 percent during the three-month period through February. Plus, the import price index operating through the weak dollar is up nearly 7 percent over the past year. There’s a profit-warning here: Spiking raw-material and energy wholesale prices will pinch future corporate profits. The dollar looks weaker and weaker. Even when the G7 intervened to lower the yen and help the beleaguered Japanese, the dollar rose 2 percent relative to the Japanese currency, but fell against all the other major currencies. Not a good sign for the greenback. It used to be known as King Dollar, but today the greenback is closing in on all-time lows when measured against various currency baskets. And the Fed keeps creating new dollars. Measured by the St. Louis Fed, the monetary base has grown $360 billion since early November — a 54 percent annual growth rate — as Mr. Bernanke continues his money-pumping plan. So the Fed is pouring in new money, the dollar is sinking, and inflation is rising. Many believe this ultra-easy-money and cheap-dollar approach will cause the economy to boom. They said the same thing about the $800 billion spending stimulus. But the Keynesians are wrong. The recovery remains soft, and it may be getting even softer as of the winter-quarter results. One final point: The decline of the dollar and the rise of inflation seem to be offsetting, or neutralizing, the effect of the December tax-cut extensions. Initially, those extensions helped bolster consumer spirits and economic growth. But the onset of food and fuel inflation from the cheap dollar looks like a tax hike that offsets a tax cut. This is just what we saw during the George W. Bush years, when the falling dollar caused asset bubbles, commodity inflation, and oil spikes, all of which ended up undermining lower tax rates. The world’s not coming to an end. Neither is the economic recovery. But we can do a whole lot better. - NBC’s Robert Bazell reports from Toyko. - CNBC’s Jane Wells joins us from Los Angeles. Better news from the Japan crisis today, as the nuclear power company Tepco appears to be on track to complete a power line to the Fukushima nuclear power plant this afternoon Tokyo time. If they can start running water into plants No. 3 and No. 4, to replenish the spent nuclear fuel pools, then potentially the apocalyptic fright of massive radiation could be off the table. No one knows, certainly not I. So much of this story is unknowable. But at least there’s hopefully some good news. The human toll in Japan is already massive. That’s a tragedy. But if somehow the meltdown story leading to massive radiation can be stopped, that would be a sign of hope for the Japanese people and all the rest of us. One of the many fear gauges for this story is the U.S. and world stock markets, including Japan’s. While the Nikkei fell 1.4 percent Wednesday, the Dow managed a 1.4 percent gain today, up 161 points. It could be nothing more than a relief rally. Traders are pointing to a strong factory report from the Philly Fed and a solid manufacturing gain for the index of industrial production. You want to say that the U.S. economy will survive the Japanese crisis, and undoubtedly that view is correct. But no one can rule out a worst-case Japanese story. Not yet, anyway. And should that worst case ever occur — and let us pray it does not — no economy, including ours, will be spared. But let me be hopeful on the Japan nuclear crisis somehow being solved. If that happens, the U.S. economic outlook is still 3 percent, or reasonably good. All the economic stuff is still a sidebar to the Japanese tragedy. So perhaps as a sidebar to the sidebar, inflation pressures in the U.S. continue to rise. Today, for example, the consumer price index showed another big gain, the third straight monthly rise. This comes to 5.6 percent at an annual rate over the past three months. Producer prices paid by businesses have jumped 13.8 percent annually over the past three months. And import prices paid by everybody are up 6.9 percent over the past year. Mr. Bernanke still thinks it’s all temporary — just a minor bulge in food and energy. But inflation expectations in the bond market and in consumer surveys show increases, not declines. Gasoline is holding at $3.55 at the pump. A year ago, it was $2.79. I hope the Fed is paying attention. ECONOMIC IMPACT OF JAPAN DISASTER HERE IN U.S.
HOW LONG WILL IT TAKE TO GET THE SUPPLY-CHAIN BACK UP? GAME THEORY -- WHAT WOULD IT MEAN HERE IN U.S. IN WORST CASE SCENARIO? Gov. Scott Walker (R-WI) joins us. ARE TEAM OBAMA POLICIES PUTTING A CRIMP ON PRODUCTIVITY & GROWTH? WHY ISN'T OBAMA WHITE HOUSE HELPING BUSINESS? WHERE ARE THE CORPORATE TAX CUTS? Here's the transcript from my recent interview with top Senate Republican Mitch McConnell. One of the key points he made from my perch is that he wants a broad-based budget deal, but absolutely no tax hike. 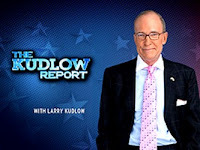 Senator Mitch McConnell, welcome back to The Kudlow Report, sir. Glad to be with you, Larry. Let me just begin with this catastrophic Japanese story, the tremendous human toll it's taking and, of course, the nuclear power worries too. First, will efforts be made in the Senate to help our friends in Japan? Yeah. If it needs Senate approval, we certainly will be there for helping our friends in Japan. What a horrible environmental catastrophe they're experiencing, the loss other human life, and all the rest. We're gonna be there for them in every way possible. What kinda stuff is being discussed right now in the way of assistance? I assume that our emergency services experts are interacting with the Japanese. I know they are. The USS Ronald Reagan is either there or on the way there, you know, which-- 'cause, apparently, they would like additional helicopter support in delivering supplies. We're gonna do everything we can to be helpful. And, the issues of the worries about a nuclear meltdown in Japan, will that effect Senate policy? Will there be hearings held to look at our whole nuclear and our energy program in the wake of these Japanese problems? Well, I think it's important not to rush to a conclusion about a major American energy policy in the wake of a disaster. For example, we all vividly recall last summer the BP oil spill. One of my colleagues said, "You know, when an airline-- when-- when an airplane goes down, you don't quit flying." I mean, we need to try to learn from what happened there. But, to rush to conclusion about-- what this means with regard to our-- policy in the future for nuclear power, I think it's premature. No shutdown of nuclear licensing and things of that sort? Well, you know, it took us 30 years to get back on track after Three Mile Island. I expect that this will-- produce some difficulty. I just don't think we oughta make American domestic energy policy based upon something that happens in another part of the world. Well, we try to learn from the mistakes that were made, and apply them. Well, first, let's just talk about the situation. We have now a divided government. The American-- public last November-- decided-- as one pundit put it, "Issue a restraining order against the actions of this administration over the first two years." A divided government frequently has done very important things. Think of Ronald Reagan and Tip O'Neill. Fixed social security in '83. Ronald Reagan and Tip O'Neill did tax reform in '86. Bill Clinton and the republican Congress did welfare reform in '96. And, Bill Clinton and republican Congress actually balanced the budget, believe it or not, in the late '90s. This is a time to do important things. Our debt situation is extremely dangerous. We now have a $14 trillion cumulative debt, the size of our economy. We begin to look a lot like Greece. Over and above that, we have over $50 trillion in unfunded liabilities in Medicare or Medicaid and social security, promises we've made that we cannot keep. This is an important time in our history to begin to get our fiscal house in order. And, the President-- so far, is remarkably passive, just sort of sitting on the sideline. So, what I have said, to get back to your question, there are 53 democrats and 47 republicans. Fifty-three democrats can vote for a clean debt ceiling increase if they want to. But, 47 republicans, I'm quite confident, are gonna insist that we use that opportunity, which is all about our debt, to do something important about our debt. And, I've been trying to incentivize the President every way I can, to come to the table. He doesn't have to lay it out publicly. We need to have private discussions and see what we can come up with that would be an important accomplishment for the country. --we all know what are problems are. All of those are the kinds of things that would be considered significant by the markets, by the American people, and by foreign countries. And, we're in the process, within the republican conference, of looking at statutory solutions. Senator Corker's got a creative and interesting one. And, we're also looking at a Constitutional amendment that would not be a good candidate for a debt ceiling 'cause the President, under out Constitution, is not involved in a Constitutional amendment to balance the budget. He doesn't play a role in that. Entitlement reform. A lot of study has already been done. The President's own entitlement debt reduction commission has done a lotta study over the last year w-- whose-- all of these issues have been studied thoroughly. What is lacking so far is the political will to tackle them. Senator Schumer and some others, I believe Senator Durbin also, they want to have a big package deal discussion. Spending cuts, entitlement cuts, and also taxes. And, I wanna ask you, down through the years, we've had these big, grand design deals. Are taxes on the table for such a deal? Taxes are not on the table. We don't have this problem because we tax too little. We have this problem because we spend too much. And, I've made it clear, both publicly and privately, that as a result of last November's election, tax increases cannot be considered as part of the solution to any of these problems. Are there any movements in the Senate Finance Committee to lower the business tax rate structure? President's talked about this. He's sort of making a charm offensive with business. A lotta people on Wall Street took notice of that. He's goin' to be a centrist. He's got Bill Daley as his new Chief of Staff. Is the White House pushin' for business tax reform? Is the Senate pushin' for business tax reform? Are you pushing for business tax reform? Yeah, we'd like to see the American corporate tax rate be competitive with the rest of the world. And pretty soon, we're gonna have the the highest corporate tax rate in the world. I don't think that's good for business. By the way, we all be-- oughta be ratifying trade agreements, not just the Korea deal, but the Panama, Colombia deal as well. We oughta be doin' all of those things. And I'm waiting to see whether this is just a rhetorical shift on the President's part courting business whether he's gonna back it up with anything real. And, I think doin' work on lowering the corporate tax rate, passing trade agreements, all of that, would have reality match up with rhetoric. Speaking of rhetorical shifts-- President, in his news conference Friday, last Friday, said he was in favor of domestic drilling, domestic oil and gas production. Do you believe him? Well, I remember one previous President said, "Watch what we do, not what we say." And, it is no question this administration has made it tougher to drill both on and offshore in this country. It's harder to get permits. We've had to suffer through an endless moratorium in the gulf after the BP spill that is totally unpopular all across the southeastern United States because it's costing us jobs. One of my colleagues, Senator Vitter, on the floor of the Senate actually read the list of rigs, named them, that are now-- that used to be in the gulf, that are now in places like West Africa and other places. They've been moved around the world, and the jobs have gone along with them. So, the question is not what the President's saying, but what he's doing. We need to quit this anti-production-- view that's been pervasive. It needs to stop. The anti-pro-- production view that's so pervasive in the administration needs to change. He's the President, he can change it if he wants to. --not gonna lay that just on his shoulders. But, he is you know, in terms of domestic production, this has been an administration that's very hostile to domestic production, not just in the gulf, but in Alaska and other places, to the extent that we could reduce our dependence on foreign oil. I think we all agree that would be good. But, we're not gonna do that any time soon with the proliferation of electric cars. It's just not gonna get the job done. So, we need to be straight with the American people. And, that involves opening up more of our substantial domestic supplies of both oil and gas. Do you blame Fed Chairman Ben Bernanke for printin' too many dollars? Value of the currency's goin' down. Food commodities are skyrocketing. Energy commodities are skyrocketing. Well, I'm not an expert on Fed policy. But, anyway, we were just talking about gas prices. Nothing will send the cost of everything up faster than an increase in gasoline prices. Just a penny up, you know, will cost us hundreds of millions of dollars a year. 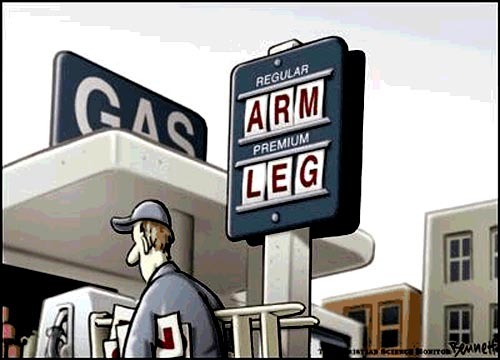 Everybody's very sensitive to gas prices in this country. When you heard PIMCO's Bill Gross, the big investment manager out west. He says he's pulling out of the U.S. Treasury Bond market. What kind of signal do you take that to be? What do you and the Senators feel that kind of negativism toward bonds pushes the deficit reduction, pushes the budget issue to the front page, and to the front of your agenda? Are we losing time on this? If too many Bill Grosses pull out, who's gonna buy our debt? Well, I think the message is this is a serious problem, and it's a problem now. I mean, you get the impression the President hopes to finesse this past the next election. That's fine if it'll wait that long. There are many experts who come and talk to us here in the Senate who believe we need to act, and act now. And, as I've suggested, Larry, I think the time to act is-- in connection with the debt ceiling. We all know the kinds of actions we can take that would be viewed about the bond market, for example, as an indication the American government is gonna get its house in order. We know what the steps are that need to be taken. We need to reach out and grab them with both hands, and pass them. All right, Senator Mitch McConnell, Republican Leader, we appreciate it very much, sir. Great. I really can't thank you enough. One-on-One with John Boehner: Is a Corporate Tax Cut in the Cards? Here's the transcript from my interview last night with Republican House Speaker John Boehner. We covered a wide range of topics including the tragedy in Japan, U.S. energy policy, the budget battle and taxes. On that final topic, according to Speaker Boehner, a corporate tax cut is still possible this year. 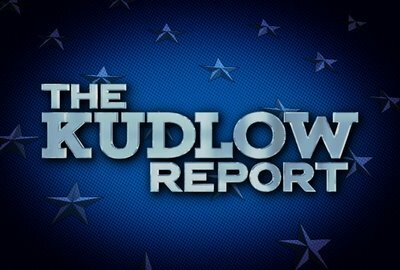 Speaker Boehner, welcome back to the Kudlow Report. Thank you. Let me begin, of course, with the catastrophe going on in Japan-- and ask you first, are there thoughts, policies, discussions in Congress? What can we do to help our Japanese friends? Well, clearly our hearts and souls go out to the people of Japan, and the tragedy that they have faced and are facing. Whether it's military help, or whether it's our expertise-- food supplies-- a lot that we will be doing-- to help the Japanese people. Will the Congress appropriate additional funds for these kinds of emergency assistance? I think that's yet to be seen. But I would not be surprised. And, do you think these food supplies and military assistance is gonna start right away? Is it in motion as we speak? I think it's been in motion all weekend, and will continue. Let me ask you also, of course related to this, is the whole issue of-- the threatened nuclear meltdown in Japan. Is that gonna effect American energy policy? Are you gonna hold additional hearings on this? Well, Chairman Upton at the Energy and Commerce Committee already has a hearing scheduled for this week with the head of the Nuclear Regulatory Commission. And, I'm sure the question will come up about those types of plants-- what kind of experience we have here. But, it's clear that there are lessons to be learned from what's happening in Japan as we speak. And, I think that we need to learn those lessons as we continue to look at how do we produce more energy from nuclear sources here in America. You were home this weekend and Ohio has some nuclear power plants. Did local folks, did voters, were they talking about this? Were they worried about their own nuclear plants? No, I didn't hear any concerns raised. But as you watch these images on TV, you can't help but be concerned about what caused this. The design of these plants, as I understand, is about, they're about 40 years old. And, what improvements have been made over the course of the last 40 years and, what's the risk that we face if we continue to push more nuclear energy here in the United States. I think that's the question the American people wanna know. And-- I'm sure you're right. Is it, are people saying, "This is the end of nuclear energy policy"? I mean, is it gonna be cut and dry? Or, are they gonna give this an honest look? Listen, I think we need we need to take a step back, understand what happened, understand what changes have been made, and really understand what are the risks here. As we all know Japan sits in volcanic area-- prone to earthquakes. You know, they have some 1,500 earthquakes a year. We've got parts of the United States that have some inclination toward earthquakes. But, we have other parts of the country where there's no threat. But, we need to learn those lessons. But, I don't think it should deter us from trying to do everything we can to move America toward energy independence. Let's turn back to the budget. On Friday, you unveiled a new continuing resolution, I guess to stop a shutdown this Friday. You got another $6 billion of budget cuts in there towards your $61 billion target. Can this one get through? I believe that the continuing resolution this week will pass for another three weeks, keeping the government open. And yet, though, cutting some $6 billion, which means that over the last several weeks, we'll be able to accumulate $10 billion worth of real savings. All of this because the democrats did no budget last year. They did no appropriation bills, and dumped this mess in our lap. I want the continuing resolution through September 30th finished as soon as possible. But, that's gonna mean real cuts. It's gonna mean real limitations on what this administration can do for the balance of this fiscal year. And, I'm hopeful that we'll get it finished as soon as possible. I mean, you've got a lotta pressures, as we know. You've got tea party conservatives on one side. You've got people that want policy defunding of Obamacare on the other side. Democrats are way apart. I mean, it's almost a $50 billion gap. You told me a little while ago if the democrats won't take the whole loaf of budget cuts, you're gonna give it to 'em one slice at a time. Do you think you can get most of the original $61 billion in cuts? Well, I think we'll see. We're in discussions with the democrats in the Senate, with the administration. We want to cut spending because cutting spending will lead to a better environment for businesses to help create jobs in America. That's the core of what we're trying to do, bring some fiscal sanity to Washington DC. And, you've also been talking about next year's budget, if you get to it, for 2012. And, you want to put some entitlement reforms in there. You wanna put some entitlement limits and caps. How specific will you be? What kind of size reduction in spending might that come to? We've got serious fiscal challenges facing our country. And, it's time that we, as Americans have an adult conversation with each other about the serious challenges that face our country. No more kicking the can down the road. I've watched it go on for all the years that I've been here. So, you will see us bend the curve. You will see us lay out a plan that will not only balance the budget, but pay off the debt. It's gonna take a long time to do this. But, it's time to make decisions. And, the unfortunate part of this is that the President a year ago set up a Deficit Reduction Commission. They did a lot of very good work. And, they worked very hard. And, I don't agree with everything they did. But, when the President submitted his budget about a month ago, not one idea from his own Deficit Reduction Commission. That's just kickin' the can down the road. It's whistling past the graveyard. And, House republicans, along with our colleagues in the Senate are not going to do that. If he won't lead, we will. How do you react to criticism from democrats? Let's see, Senator Reed, Senator Durbin, Senator Schumer, they say republican spending cuts are bad for economic growth, bad for jobs. How do you react to that and, has the Republican Party focused too much on spending austerity, and not enough on economic growth? I gave the President a letter signed by 150 economists over a month ago that said that cutting federal spending will lead to a better environment for job creation in America. Businesses and, I used to be a small business man understand that you can't continue to borrow 40 cents for every dollar the federal government spends. And, if we begin to cut spending, and people understand that we're serious about putting America on a sound fiscal footing it will send the signal to business people and investors that America is a place they can invest in. It's that investment that creates jobs. What about pro-growth tax reform, particularly business tax cuts? What about pro-growth regulatory moratorium? There's been a lotta talk about over-regulation of energy, for example. We got, what, $3.50 at the gallon. Many economists believe that's gonna raise the inflation rate and lower the economic growth rate. So, tax cute-- an-- and regulatory freezes, where's the GOP on that? Well, when you look at what it's gonna take to create jobs in America, we talked about cutting spending. We also need to look at all of this regulation coming out of this administration. And, whether it's Obamacare, whether it's the Dodd-Frank financial services bill, the EPA that's choking our ability to produce more American energy, we need to look at the regulatory side as well. But, how about the three free trade bills that are sitting downtown the administration's holding Panama, Colombia, South Korea? Free trade will create more jobs here in the United States. And, we need to produce energy. We need to produce energy because we need to bring energy prices down. But, let's not forget that if we begin to do all of the above on the energy side we because it'll create up up to a million new jobs here in America. So, we need to do all of these things, if we're going to create a better environment for our economy to get up and get moving and get Americans back to work. You know, President Obama and especially Vice President Biden-- Mr. Biden was over in Russia recently, talking about admitting Russia into the World Trade Organization, which would require a congressional vote. Wouldn't it be better to get these free trade deals passed before we put Russia into the World Trade Organization? Well, these free trade bills, some of them have been out there for three or four years. I believe that-- and then, the South Korea trade agreement. Let's deal with these. And if Russians want to actually agree to play by the rules then we can have a discussion about whether ascension into the WTO is the right step. Let me ask one last one. Do you believe that President Obama has turned pro-business? I get this question all the time. He had a charm offensive, he spoke to the Chamber of Commerce, and particularly his new Chief of Staff, Bill Daley. Have you spoken to Mr. Daley? Have you heard from him that they want a pro-business, pro-growth agenda? How do you come out on all that? Have any changes really been made in the last couple months in the White House? Well, I've talked to the President a lot over the last couple of months. And, I've talked to Mr. Daley a number of times. Talk is cheap. Actions speak louder than words. I haven't seen any new actions yet. What are you looking for? What would be a hint? Well, send the three free trade agreements to Congress for our consideration. Let's put a real moratorium on new regulations coming out of his administration, which he's also called for. How about Mr. Camp, your Chairman of the Ways and Means Committee? He runs tax policy, I know he runs trade policy too. Have you deputized him to come with a business tax cut reform bill? If we want to make America more competitive, we've got to reform our corporate tax code. It is in the way of job creation in America. Dave Camp is a great Chairman. We came to Congress together 21 years ago. He is working on that reform. There's a number of hearings that are already set up. The administration appears to have some interest in wanting to pursue this. And, I'm optimistic. Could this happen in my lifetime? It could happen this year. I hope that much was in your lifetime. I have high expectations. You think it could, you think you could get business tax reform this year, that's possible? All right. Speaker John Boehner, we appreciate your time very much, sir. GLOOM SETTLING OVER THE MARKET? - Gen. Barry McCaffrey, 4-star Gen.; NBC Military Analyst; U.S. Army (Ret. ); McCaffrey Associates Pres. House Speaker John Boehner joins us. SENTAE Minority Leader Sen. Mitch McConnell joins us. SHOULD U.S SEND MILITARY TO LIBYA & SAUDI ARABIA? Stocks got slammed today. The Dow dropped 228 points as the much anticipated correction appears to be taking hold. Year-to-date, the broadest index, the S&P 500, is still up 3 percent, and the Dow is up 3.5 percent. Curiously, a $2 drop in oil did not rescue the market. But a lot of worries about China growth, a Spanish credit downgrade, and a widening U.S. trade deficit weighed down the market right from the opening trade. All eyes are turned to Saudi Arabia as the so called “day of rage” begins. Reports are that Saudi police opened fire on protesters in the kingdom’s east. Most experts do not expect a major protest to develop, such as in Egypt. But frankly, who knows? The Shia underclass comprises most of the workers in the oil fields. And former Saudi ambassador Robert Jordan told me in a CNBC interview that he didn’t think the fully employed Shia workers would have any desire to shut down the oil fields. That may be why the Saudi stock market jumped 15 percent this week and the world price of oil edged lower. As Donald Rumsfeld would say, it’s an unknown unknown. But in the midst of today’s stock market gloom there are two positives: First, a new government report shows that corporate profits – the mother’s milk of stocks — reached new all-time record highs. In fact, after-tax economic profits are up 107 percent from the late 2008 trough. That’s a bigger gain than the 91 percent increase in the S&P 500. The growth of future profits will undoubtedly slow. But the level will continue to rise. The same could be said for the overall stock market, despite today’s 2 percent correction. A second positive is trade. While the monthly trade deficit increased slightly, total U.S. trade — exports plus imports — reached its highest level since August 2008. That is a sign of growth. What’s more, large import gains for industrial supplies and capital and consumer goods is another sign of strong domestic growth. But even with these positives, I acknowledge some more unknown unknowns. For example, the big rise in gasoline prices since last August, with pump prices hitting $3.53 today, is a $182 billion annualized tax on motorists, according to veteran analyst Peter Beutel. He goes on to say that including diesel, heating oil, jet fuel, and other parts of the rising cost of the oil barrel, the total energy tax on the economy is $330 billion. And the fact remains that Fed head Ben Bernanke is monetizing the energy-price spikes by pumping in excess QE2 money. That could set a significant inflation threat. So I am being realistic. There are unknown unknowns out there. That may be the message of today’s stock market sell-off. CHAOS COMING TO SAUDI ARABIA? Here's my interview last night on the huge spending mess and budget battle taking place in Washington with House Budget Chairman Paul Ryan of Wisconsin. I was very impressed with Congressman Ryan. about government handouts, Social Security, Medicare, unemployment insurance. Budget Committee Chairman Paul Ryan, Republican of Wisconsin. Representative PAUL RYAN: It's not to do everything to avoid a cut--shutdown. don't. And if--and if there is s shutdown, that's why. leader. What's the odds, Paul, that this is going to happen. that's what we're debating over. they see gasoline prices jumping to $3.50. Rep. RYAN: I paid 3.67 today. which I think has still got to be the end game. simply translate to tomorrow's big tax increases and interest rate increases. tomorrow, higher interest rates tomorrow. point the way you just did. Rep. RYAN: I say it every single day. Rep. RYAN: We're going to have an interest rate problem, as well. KUDLOW: All right. That's a great message. proposals in your 2012 budget. Rep. RYAN: Mm-hmm. That's right. 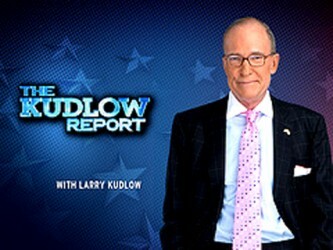 KUDLOW: If we ever get to the 2012 budget. DC. What are you going to say, Paul Ryan, on the entitlement fix? health care entitlements. We're going to offer reforms that are prospective. our deficit taken care of. Rep. RYAN: That's a plan for prosperity. a tough sell. You may be right. KUDLOW: But are you talking about benefit cuts? actually have these benefits for us when we retire. KUDLOW: All right. I want to see--I'm dying to see it. Social Security will fix itself? Rep. RYAN: No, it doesn't. will look better, not worse. Rep. RYAN: Except, first of all, nobody is talking about slashing benefits. generations to make this program solvent. go about $10 trillion deeper into our unfunded liabilities. KUDLOW: All right. I got to get out. to help us do that. through this, but it's great stuff. You're fascinating. IF SAUDI ARABIA IS SAFE, COULD OIL GO DOWN? An interesting look at how Russia stands to benefit with higher oil prices with Ken Timmerman, author of "Countdown to Crisis: The Coming Nuclear Showdown With Iran" and Jed Babbin, former Deputy Undersecretary of Defense. According to news reports, Team Obama and House Republicans are at least $50 billion apart in the budget negotiations for FY2011. I’m willing to bet that Team Obama and Senate Democrats won’t agree to even $20 billion in spending cuts. And that’s a far cry from the GOP’s annualized $100 billion pledge-to-America mark, and an even farther cry from the hundreds of billions of dollars in cuts that are necessary over the next five to ten years. As I recall, the Simpson-Bowles deficit commission suggested more than $1 trillion in cuts to the domestic discretionary baseline over ten years. I think the Paul Ryan plan would do the same. Surely the Tea Party advocates will push the GOP to stay on message and stay the course. That’s what last November’s elections were all about. And if a satisfactory deal cannot be reached, one that keeps the GOP spending-cut pledge and includes a spending-limit rule with real teeth, then why not shut down the government? Reading through various reports from the Wall Street Journal and Washington Post, you get the sense that no great harm will come from a shutdown. Social Security checks will be mailed. Other benefit payments will be met. Air-traffic controllers will do their jobs. Border protection and military operations will continue. Uniformed military personnel will be exempted. The Post Office will do its business uninterrupted. And incoming revenues can be designated for interest payment on the debt. Doesn’t sound that bad to me. It sure isn’t the end of the world. Back in the the early ’80s, when I served in the OMB under President Reagan, we went through several brief government shutdowns. Yes, the Washington Monument and a bunch of public parks closed. So what? Non-essential personnel got a holiday. The rest of us had to work. But non-essential programs were not funded during the shutdown, and their unused budgets were subsequently rescinded. Savings were significant. Of course, in the event of a shutdown, the political blame-game will run full hog, like it did during the mid-1990s. But the public mood today is far more hostile to big-government overspending, borrowing, and taxing than it was in 1995. Most important, taxpayers will benefit from a shutdown. That’s the key point. And voters will reward leadership. So this is a moment when GOP promises to slash spending must be kept. But let me reiterate: Any budget deal should include some clear rules on budget-spending limitation. Several Republican senators, including Bob Corker and Mike Lee, want to limit federal spending as a share of the economy to around 20 percent. Today it stands at 25 percent. If a proper spending-limit rule were put in place, strict budget-cutting penalties would be automatically triggered when the rule is broken. This kind of budget rule is essential to any deal. The GOP should not settle for anything less. Why? Because this is the moment. This is the upshot of last fall’s elections. Governors like John Kasich in Ohio, Scott Walker in Wisconsin, Rick Scott in Florida, Mitch Daniels in Indiana, and Chris Christie in New Jersey are making the good taxpayer fight to curb spending with strict limits on government unions — even if government shutdowns are part of the battle. The message from the states is clear: Lower spending is necessary a) to stop the bankruptcy and b) to return taxpayer money to citizens, small businesses, and families. Each spending-cut dollar in effect translates to an equivalent tax-cut dollar. That’s pro-growth, pro-jobs, pro-lower-unemployment, and pro-financial-prudence. But Washington Republicans must join the state-by-state battle by waging their own war against bankruptcy, high taxes, and overwhelming debt. Frankly, a government shutdown in Washington is a minuscule price to be paid for the greater good of financial solvency and economic growth. If the Republicans can’t get the right deal for full-fledged spending cuts and a clear budget-limitation rule with severe budget-cutting penalties, they should go ahead and shut down the federal government. Message to House Republicans: Don’t pull your punches. Hang tough. Stand tall. UTAH RETURNING TO THE GOLD STANDARD? BUDGET SHOWDOWN … WHAT WILL HAPPEN IF THE GOV’T SHUTS DOWN? IS IT SUCH A BIG DEAL? - CNBC’s Trish Regan reports. - Robert Reich, Fmr. Labor Secy; "Aftershock: The Next Economy &America's Future" author; CNBC Contributor; Univ. of CA., Berkeley, Prof.
1. PINK SLIP DAY IN WISCONSIN - WILL THIS BRING THE DEMS HOME? ARE GOVT UNIONS BANKRUPTING OUR COUNTRY? 2. BOEHNER TAKES AIM AT SOCIAL SECURITY & MEDICARE -- IS IT POLITICAL SUICIDE? DOESN'T IT HAVE TO BE TACKLED TO CALM THE DEFICIT BEAST? Fierce Fed critic Rep. Ron Paul (R-TX), head of the House Financial Services Committee, discusses his back-and-forth with Fed head Ben Bernanke over U.S. monetary policy. ONE-ON-ONE WITH RON PAUL … SHOULD BERNANKE START TIGHTENING? WHAT HAPPENED TO THE WASHINGTON'S $60B SPENDING CUT PLEDGE? IS BERNANKE IN DENIAL ABOUT INFLATION? WAVE OF REVOLUTION : OMAN, JORDAN; SAUDI ARABIA, ETC. - NBC’s Stephanie Gosk reports. INSIDER TRADING: EX-GOLDMAN SACHS DIRECTOR CHARGED IN GALLEON INSIDE TRADE PROBE … SHOULD INSIDER TRADING BE LEGAL? GUPTA CHARGES COULD BE AS BIG OR BIGGER THAN MADOFF?